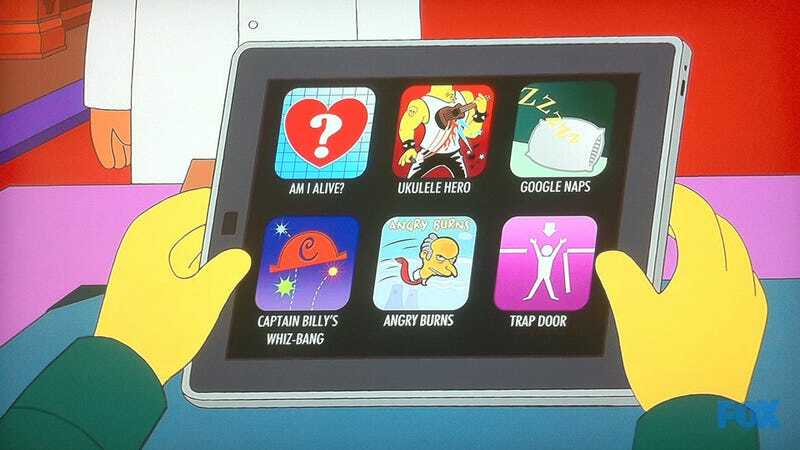 Mr. Burns used his iPad in the recent Simpsons episode Them, Robot, and, like the rest of us, he loaded it up with apps. They are funny: Am I Alive, Ukulele Hero, Google Naps, Captain Billu's Whiz-Bang, Angry Burns and the one I really want to buy at the App Store: Trap door. Rupert Murdoch Is Now On Twitter!